By changes of resin and reinforcement material, the physicochemical property of FRP containers can be adjusted in order to fulfill the requirements of different media and working conditions. The carrying capacity of containers can be modulated by means of adjusting the thickness, wrapping angle and process larry structural design of structural sheets, and FRP container or devices with different tension and some certain special performances can be manufactured, which isotropic metal materials can't achieve. The fine insulating material keeps the favorable dielectric property, even under high frequency. This is incomparable by other metal profiles. Looking for ideal Small Size Cylindrical Tank Equipment Manufacturer & supplier ? We have a wide selection at great prices to help you get creative. 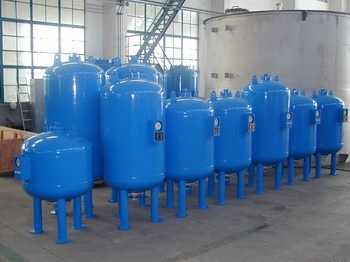 All the Vertical Cylindrical Tank are quality guaranteed. We are China Origin Factory of Cylindrical Tank Equipment. If you have any question, please feel free to contact us.